Andy was introduced to Pilates over 10 years ago while studying for her Bachelor of Dance in New Zealand. She initially received her first certiï¬cation with Polestar Pilates and went on to become a teacher trainer for them. Since then she has not only expanded her own training and knowledge by studying with Master Teachers worldwide, she has also graduated from The Pilates Center Teacher Training Program based in Boulder, Colorado. This program is one of the most respected, comprehensive and intensive teacher training programs worldwide and often referred to as â€˜The Harvard of Pilates training schoolsâ€™. After having such an incredibly positive, challenging and rewarding experience while participating in the trainee program, Andy went on to study further in Boulder and has recently graduated from their Masters Program. Lorna Magee was first introduced to Pilates as a young dancer, which sparked a lifelong enthusiasm for the grace, athleticism, and inherent wisdom of what Joseph Pilates termed Contrology. Lorna is originally from the USA, but after pursuing a degree in Economics and spending a couple of years teaching English in Madagascar, she landed in London and decided to return to her movement roots and completing her Pilates teacher training through The Pilates Center at Pepilates, London. Since becoming a full-time teacher, she has guest-taught in Dublin, Hong Kong, and India, and assisted and advised on The Pilates Center’s training programs at Pepilates. Lorna has continued to be inspired by the great teachers around her at both those in London and those visiting from afar and has been very lucky to take part in regular workshops and trainings throughout the years. More than anything, Lorna loves to move, and to share the joy of movement with her students. She believes that the Pilates workout is the perfect antidote to the stresses and strains of modern life and that it is the ideal complement to all of our other pursuits. In her classes she strives to give her clients the joy of deep, strong movement, and to share the amazing potential that Pilates unlocks in every body. Chris worked for 30 year in the aerospace industry and retired in 1996 as Vice President at COMSAT Laboratories in Washington, DC where he helped bring satellite communications into the commercial world. In 2000, at age 62, Chris was introduced to the Pilates method. After a few month of hard work, beneficial changes in body and mind became obvious and exercising on the mat and equipment eventually became great fun. Encouraged to seek a teacher certification, Chris started the teacher training program at The Pilates Center in Boulder, CO in 2003 studying with Amy Alpers and Rachel Segal, Deb Kolway and Kim Haroche. Chris completed the Advanced Teacher Training Program in 2004, the Masterâ€™s Program in 2007 and became a Host Advisor in 2013. Chris has been a member of the Pilates Method Alliance since 2005 and is PMA Certified Pilates Teacher since 2005. Since starting to teach in 2003, Chris continued studying the method and had the privilege to study with Mary Bowen and other well known teachers such as Wendy LeBlanc Arbuckle, Deborah Lessen, Jean Sullivan, Michele Larson, Cara Reeser, Siri Galliano and Madelaine Black. 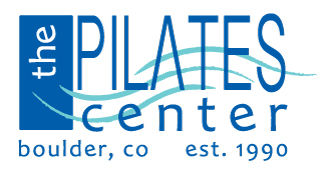 He also returned for many workshops to The Pilates Center in Boulder.